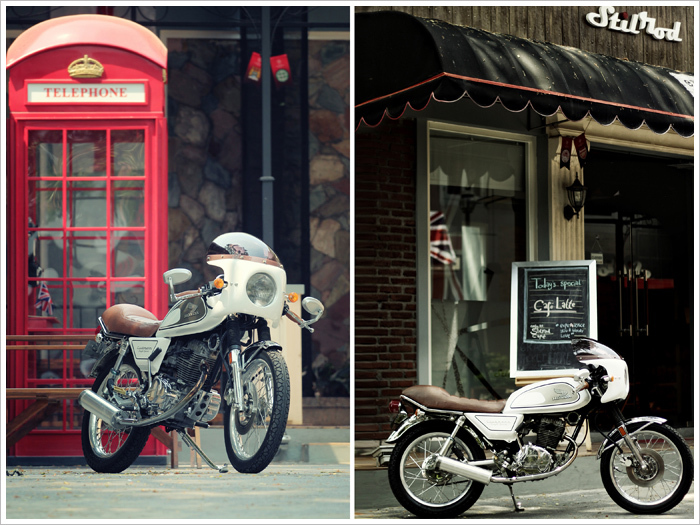 When you get given the job to build a café racer for your local Mayor, you don’t want to screw it up. 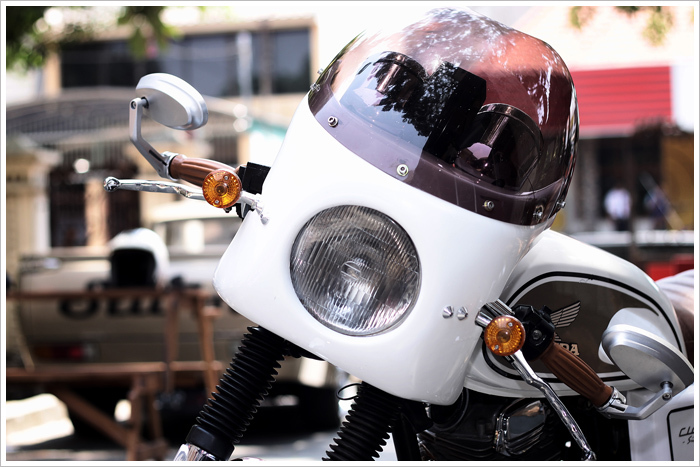 So when Eric Caprin from Caprin Racing in Indonesia was approached by Heru Bambang (the Mayor of Balikpapan) he knew he had to pull out the punches for this build. 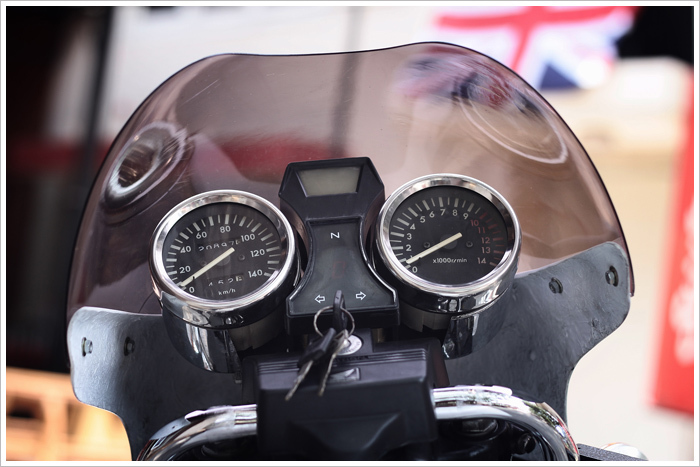 It became even more daunting when he was given the brief of building a 70’s styled clubman café racer, using the very uninspiring 2003 Honda GL Max 125cc motorcyle as the donor. 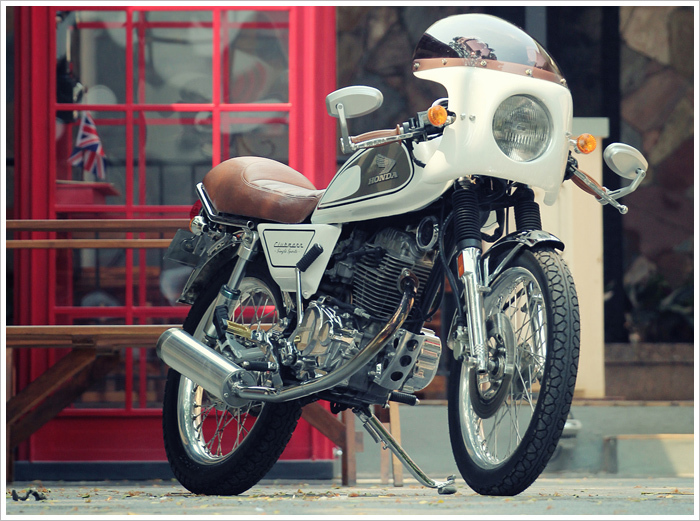 “He give a me a challenge to build a 70’s café racer from this little motorcycle” says Eric. 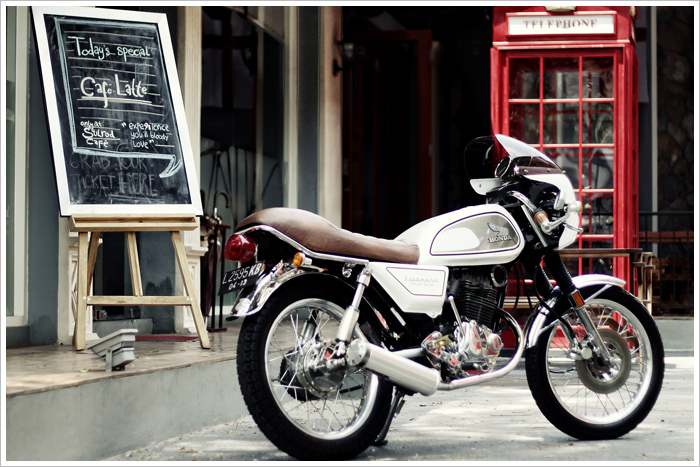 “This concept is a daily rider that is a bit more mild and not very wild.” The theme and name for the bike comes from the Mayors favourite drink and daily caffeine fix – the ‘Cafe Latte’. Starting with the body work, Eric used a oem stock gas tank, but re-shaped it with fiberglass for smoother curves. 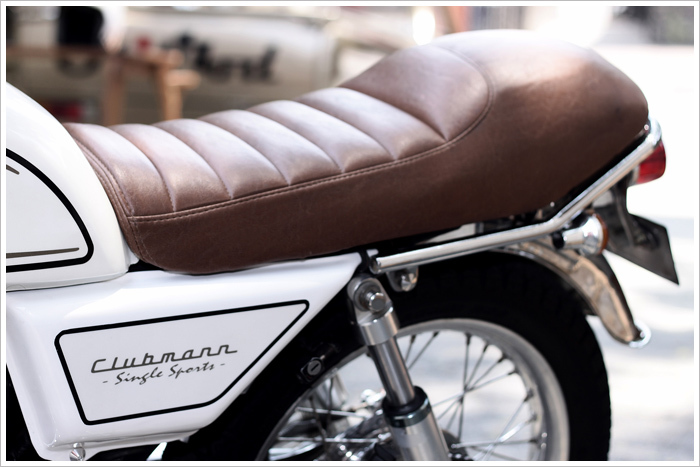 He also custom made the classic clubman styled battery cover from fiberglass. The bikini fairing was sorced from EMGO Japan, but was too large and oversized, so they ended up custom making one from fiberglass using the EMGO platform for proportional size. Eric then cut the original windshield from the EMGO fairing to fit with a new custom made bikini fairing. 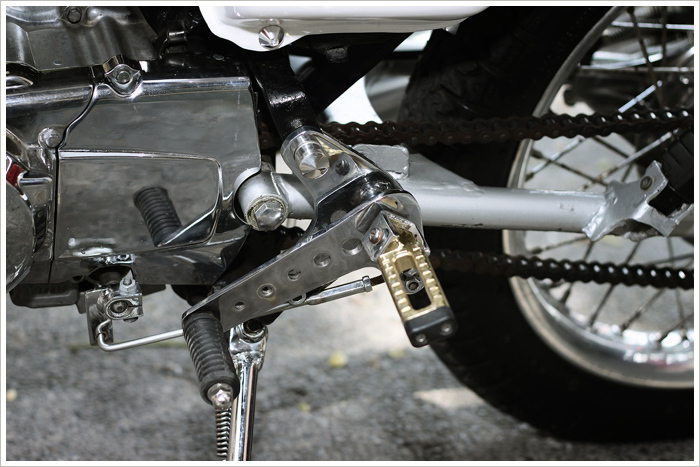 For front and rear fenders, they used new ones from old motorcycles and then chopped them to fit with the 17 inch wheels. 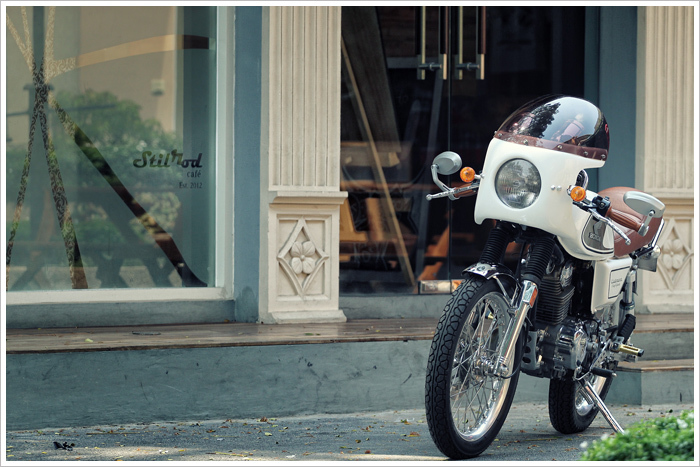 It’s definitely not going to win any land speed records, but we think Carprin Racing have built a stunning little café racer to battle the busy streets of Indonesia in style. And luckily for Eric, the Mayor is extremely happy with his new ride. And luckily for us, his favourite drink wasn’t a Double Ristretto Venti Nonfat Organic Frappuccino.